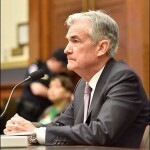 Will Fed Chair Powell Respond to Trump’s Jabs in His Jackson Hole Speech? 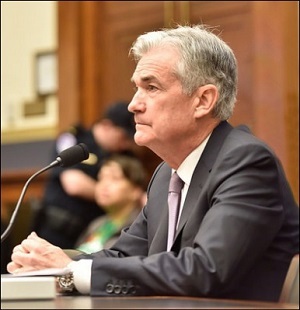 The Chairman of the Federal Reserve, Jerome Powell, is slated to deliver a speech on Friday morning at an annual symposium in Jackson Hole, Wyoming. President Donald Trump has made it known that he wants some economic help from the Fed in terms of keeping interest rates low. Speaking of Powell directly, Trump told Reuters yesterday: “I’m not thrilled with his raising of interest rates, no. I’m not thrilled.” All eyes on Wall Street will be watching for any hints in Powell’s speech that he’s sending a message to Trump that he won’t be taking any loyalty oath to the President. But aside from possible coded messaging to Trump to take his jackboot off the Fed’s turf, there are other important reasons to pay attention to the Jackson Hole gathering. It’s called the Federal Reserve Bank of Kansas City’s Economic Policy Symposium, or simply “Jackson Hole,” but as the attendee breakdown above indicates, it’s a central bankers’ summit. Between the U.S. Fed and global central bankers, government attendees are outnumbered 14 to 1. 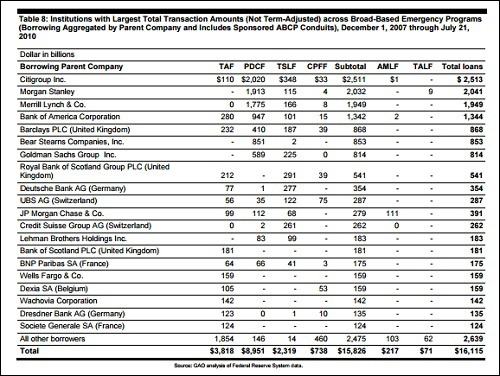 Also note that global banks (“financial organizations”) also outnumber “government” representatives, who are given a paltry five slots. This attendee breakdown will not surprise you if you have read Nomi Prins’ brilliant book released on May 1, Collusion: How Central Bankers Rigged the World. Prins further makes the point that what these central banks are doing is providing artificial stimulus to markets – the opposite of what free markets are all about. With that as a background, consider the title of this year’s symposium which begins this Thursday: “Changing Market Structure and Implications for Monetary Policy.” The idea is to bring in a pack of academics to place the blame on this “Changing Market Structure” on someone or something other than the central bankers. As a result of the Fed’s hubris in 2008 and its subsequent, unprecedented experiments with quantitative easing (a quaint name for buying up Wall Street’s toxic waste) not only have the Wall Street mega banks become even more dangerously interconnected but the central banks themselves have become dangerously interconnected, where rumors of tightening by a central bank on a different continent can now send U.S. stocks plummeting. When the academics speak about “market concentration” at the Jackson Hole symposium, let’s hope someone has the temerity to point a finger at the Fed.